Okayama AKA the ‘Sunny Land’ is known for its delicious fruit and in particular, its white peaches. The folk tale of Momotaro, a boy born from a peach who became a warrior, originated in this region. Here, as well as actual whole fruits, an extensive variety of fruit (in particular peach and grape) products are on offer. These include, fruit jams, fruit chocolate, fruit jello-like desserts, fruit tea and even fruit curry! Not sure how I feel about the latter but hey! We ought to give everything a go, right? Perhaps most popular of all fruity products though, are Okayama’s fruit parfaits. These as you can imagine, can be seriously good and are often served with a combination of cream/ice-cream/sponge cake and oddly, corn-flakes – go figure? And range anywhere from 600YEN to a whopping 2200YEN. 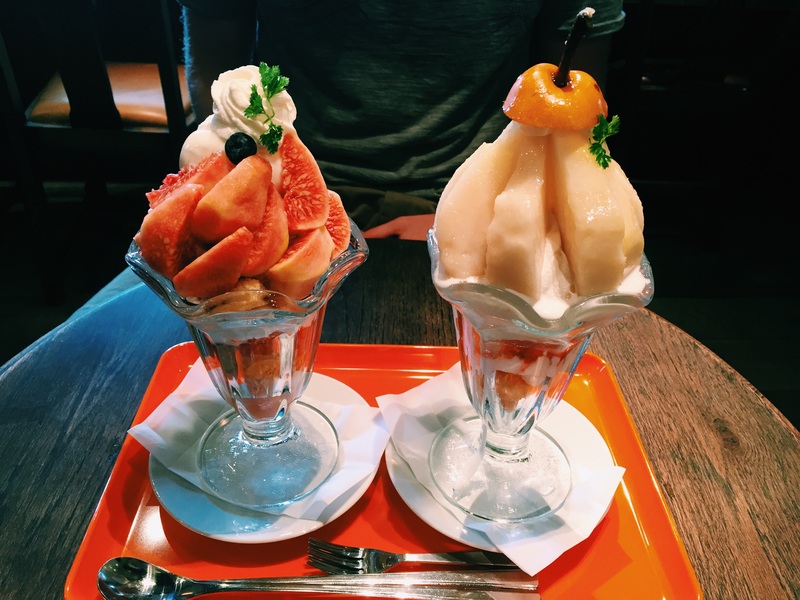 So, where is the BEST fruit parfait in Okayama you say? Kurashiki Momoko is my answer (In Kurashiki – well, duh). 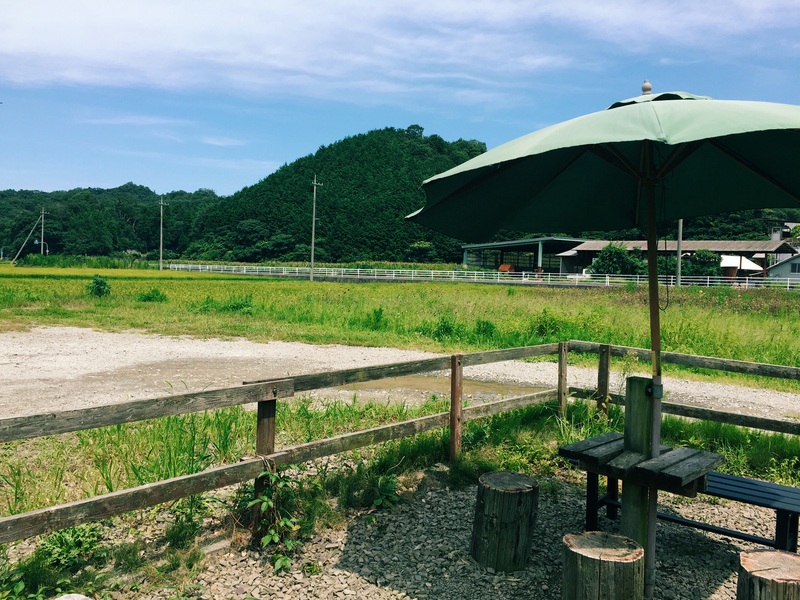 Kurashiki Momoko is a farm direct outlet located in the Historical Quarter of Kurashiki, run by the Okayama Prefecture Vegetables and Fruits Sales Group. The two-story building is a retail space on the ground floor and an adorable wooden furniture fitted café, on the second. You know a place knows their shizzle when there’s a line out the door! One of the most popular items on their menu is the fruit parfait, which is available only during the peach season. Fruit options include: peach (well, of course), grape, fig, pear and mixed fruit. They are generously proportioned (especially the 22000Yen one) and seriously GOOD – I mean look at that picture! 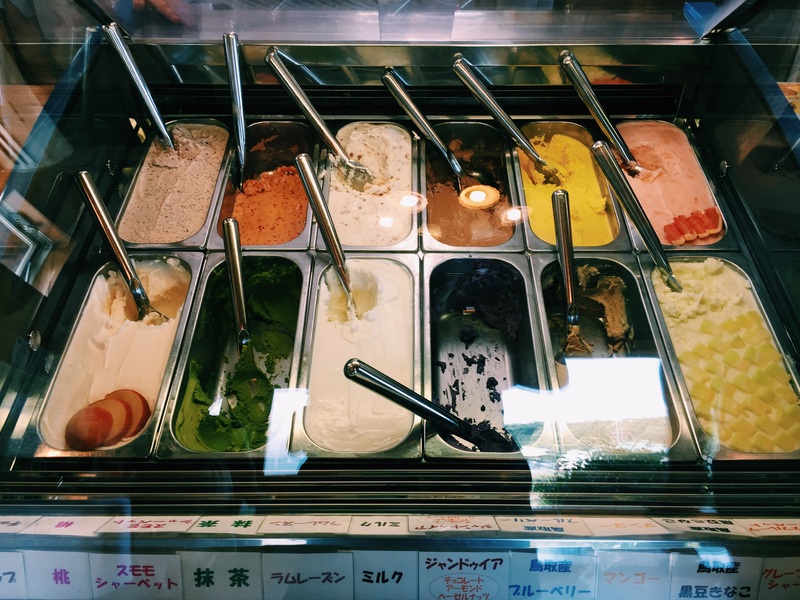 The café also serves smoothies, gelatos and other cakes/sweets as well as a range of edible souvenirs, all made with locally grown Okayama fruit. 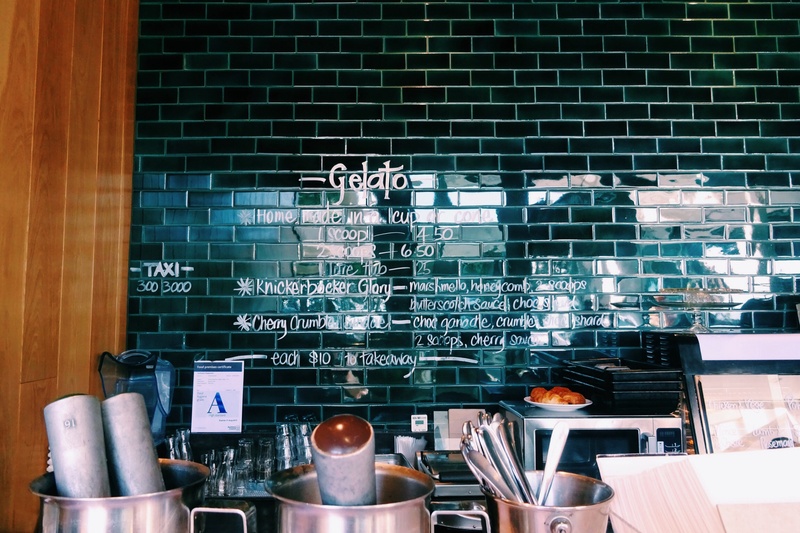 We ordered the fig and pear parfaits and ohhh boy. However; I do have one tiny complaint though. When we finally reached the counter, after having waited our turn like civil folk, we were escorted all the way to the back of the line again! What had happened is that the shop assistant had assumed (as unfortunately often happens here – sorrynotsorry) that the foreigners had pushed in line. Thanks to a lovely Japanese woman (who with her family had been waiting behind us all along) speaking up, we were apologised to and escorted to the front again. Here’s hoping you won’t have the same experience – A minor glinch compared to the epic sequel, though! 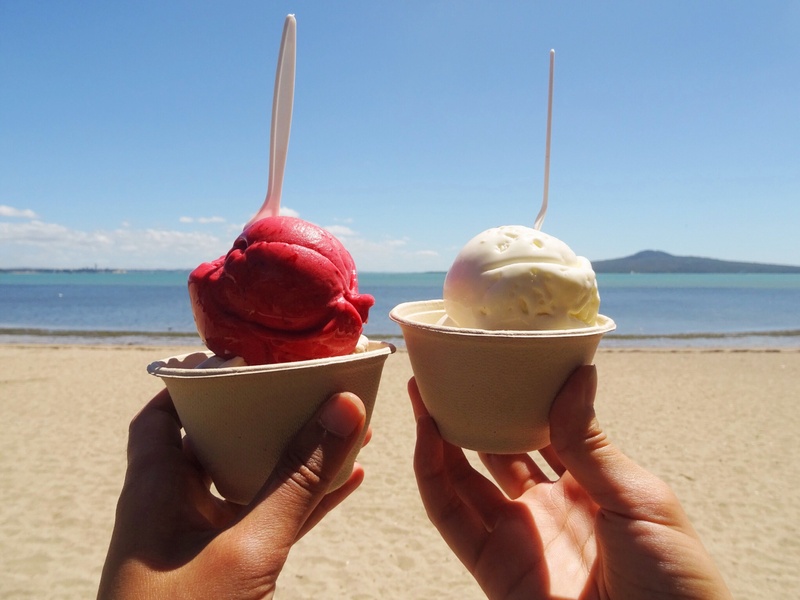 Okay, I’ll admit; the principal motivation behind my mini holiday to the North Island last week was none other than Dr Feelgood’s Frozen Pops. I am dead serious. You may think it ludicrous that an adult (yes, believe it or not, 22 is considered adult age) plans an entire holiday merely based on the location a certain popsicle. But, you may retract your mean judgements after receiving further info on these stick beauties (not a “thinspo” reference but definitely a skinny product). 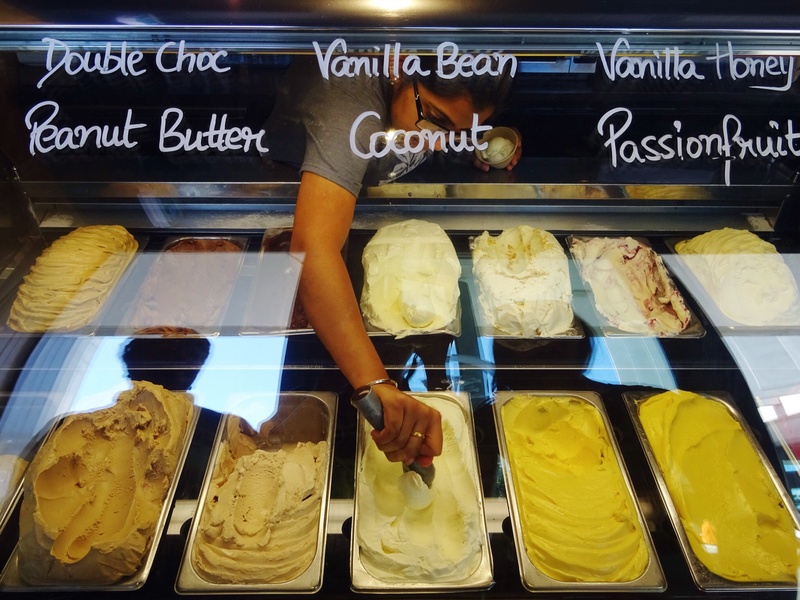 When I was younger, I always, as they say; “screamed for ice-cream”. At times I cried and on other occasions I even black-mailed (a story for later) but either way, my deliberate tactics always landed me a frozen treat or two (thanks mum). Nowadays, having grown older and apparently wiser, I have developed a love-hate relationship with the scrumptious semi-soft frozen dessert. 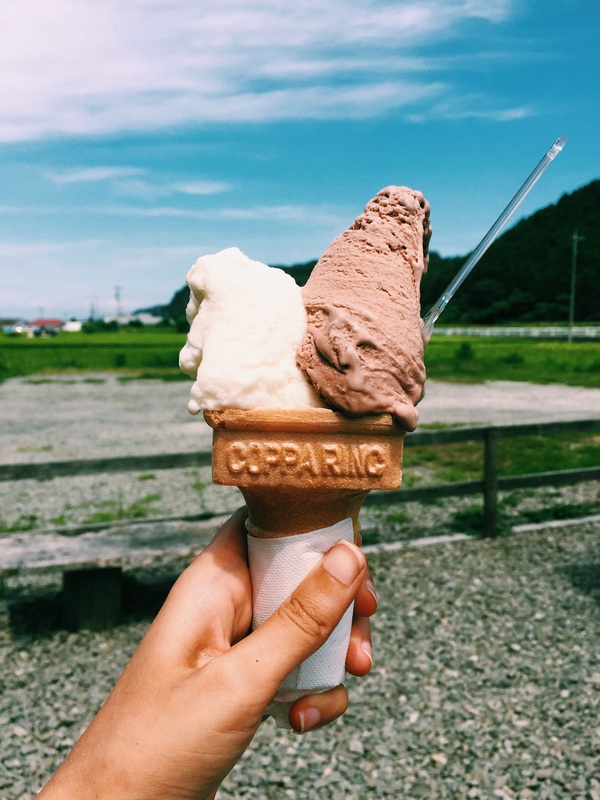 The chief and honest reason being that excessive amounts of regular ice-cream eventually makes us fat and gives us diabetes and so on and so forth. This is where Dr Feelgood come in. Flies in, to be specific; in a superman outfit bringing an end to my ice-cream induced quarter life crisis with his or her saliva-inducing popsicles which he/she promises are “guaranteed to impress your trainer AND your snobby food critic mate”. Double Caramel Magnum Ice Cream Bar is 320 calories. 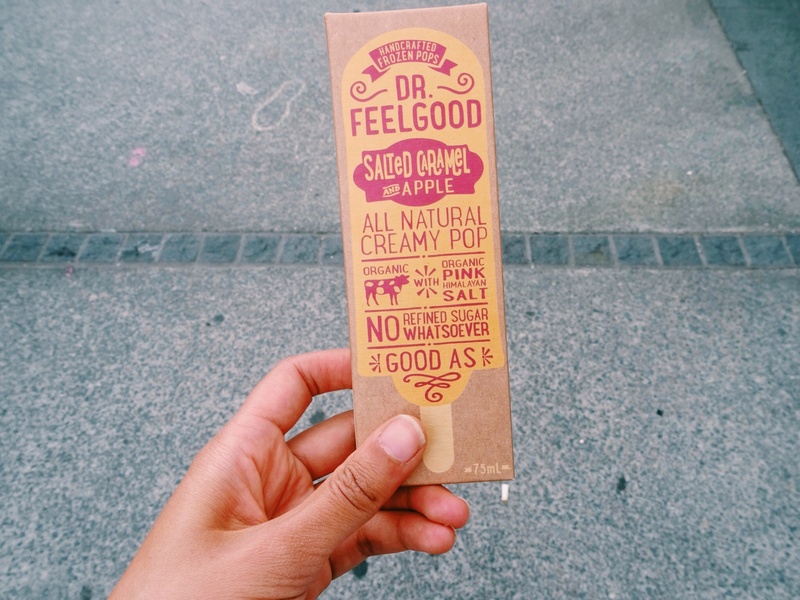 Dr Feelgood’s Salted Caramel and Apple Frozen Pop is 149 calories (“in case you’re wondering, it’s about the same as a glass of whole milk”). Or even better, their Lemon, Manuka Honey and Ginger Pop (a mere 57 calories) or their Granny Smith Lime and Mint pop (63 calories) are both “about the same as one very small apple” – meaning, the phrase ‘an apple a day keeps the doctor away’ just got some mean as rivalry. And yet, believe it or not, there is no catch. 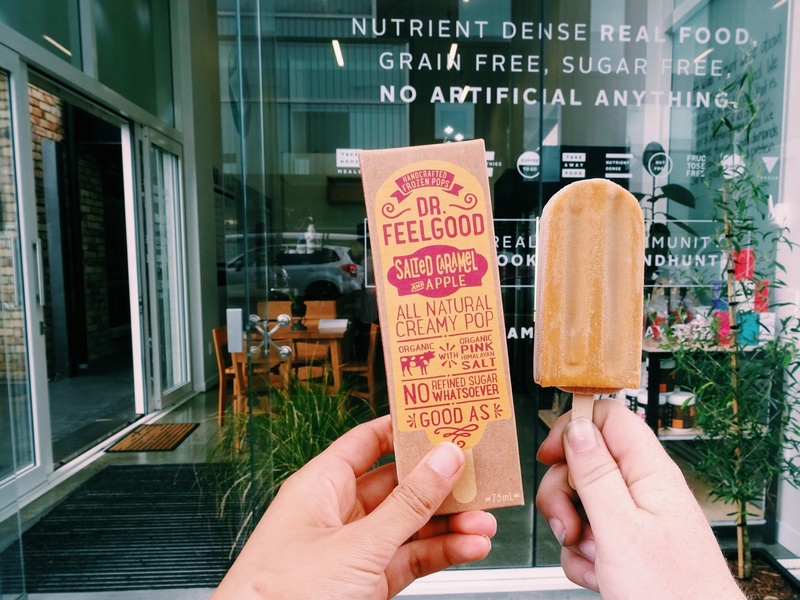 Dr Feelgood’s Frozen Pops are not only healthy and nutritious (“featuring only the good stuff, with absolutely no refined sugar”) but are also extremely moreish; living up to their name by making your tongue, mouth, stomach, heart, significant other, mother, the list goes on, feel good and by good they/I mean bloody wonderful. In short, these popsicles are freakin’ yum AND miraculously good for you unlike most regular ice-creams which sadly are the opposite. Last but not least; dearest Dr Feelgood please treat this humble post as a pledge from the entire south island population to export your delicious popsicles our way. In specific: to Christchurch because that’s where I am. PS for more info and a list of their other beaut flavours click here where you’ll be transported to Ice-cream heaven (cue: salivation) where your browser magically transforms into an adorable popsicle and your eyes get the opportunity to feast on some seriously scrumptious ice-creamporn.